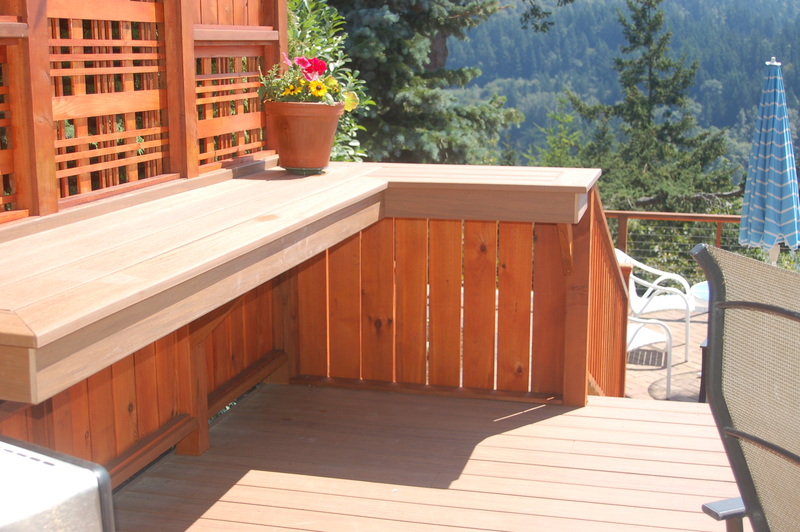 Deck with wonderful bench to enjoy the backyard from! That’s it for now – get started planning your deck. 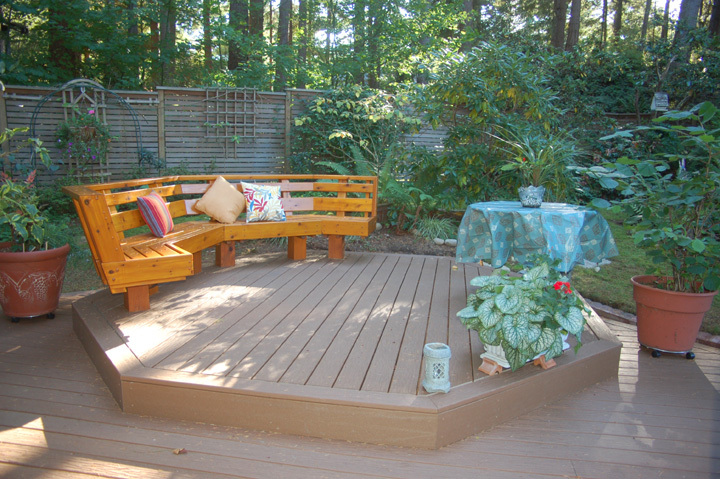 There are as many different kinds and configurations of decks as there are people who want one! So, since I am planing on tearing out my own deck and replacing it, I find decks, decking materials and deck design are on my mind a lot lately. 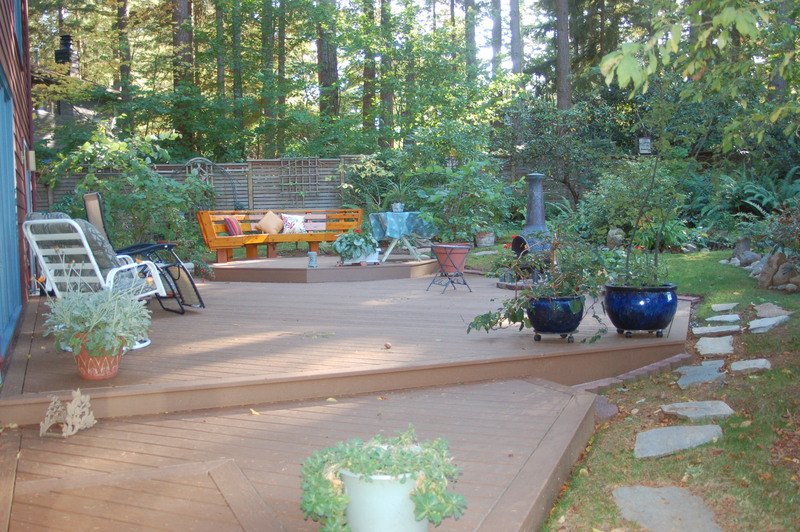 I know what I want – I want to not have to refinish the blinkin’ deck every other year, and I want it to be smaller than the one I have now. Yes, I suppose that sounds odd to many people, but I like compact, efficient and clean simple lines. 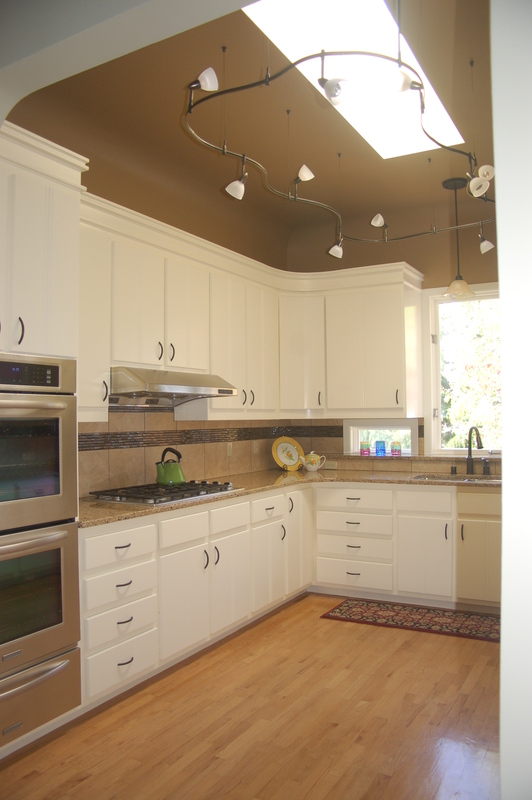 These two are very different, demonstrating the great variety that people can build onto their homes. They look great, but for my house I am going with a very simple design. My house is a two story split level type, built on a lot with the backyard much higher than the front. What I really like about this is the back deck goes out from the second level dining room at abut 5 1/2 ft. above grade and 14 ft from the house the deck bumps into the rock bank. This actually makes a bridge out of the deck; it connects the 2nd floor of the house to the backyard. I want to expose more of the big rock bank that is behind my house, so I am going to replace the deck which currently runs the entire length of the house with 2 seperate, smaller decks which will expose a lot more of the rock. Since I want to reduce the amount of upkeep for the new deck, I am going with one of the composite decking materials, probably Trex. They make a color that almost perfectly matches the color of the existing deck and my house trim color. Well, that is it for now. I will update you when the construction is underway. I have been waiting for it to stop raining here, it has been a very wet and cold spring/summer. This week they are predicting 74 degrees F. today, and over 80 for the rest of the week. That should dry out my rotten old deck so it won’t be so heavy when it’s driven over the scales at the dump! I had the opportunity yesterday to visit one of our jobsites. 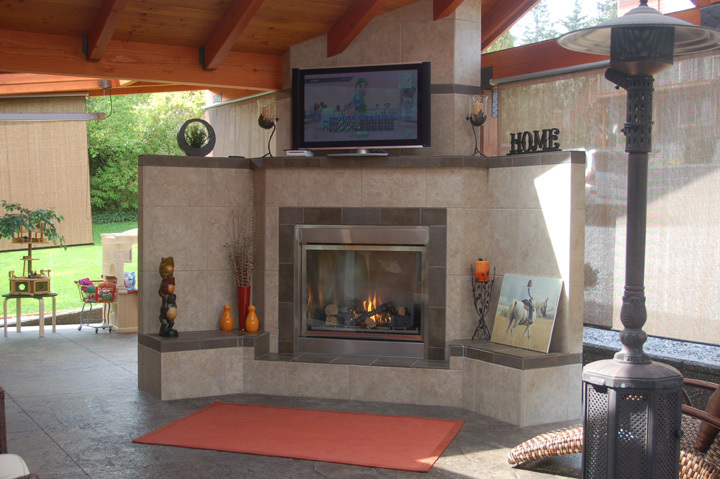 The home is located in Bellingham’s Edgemoor neighborhood and has a beautiful backyard. We are renovating three bathrooms and rebuilding their deck. 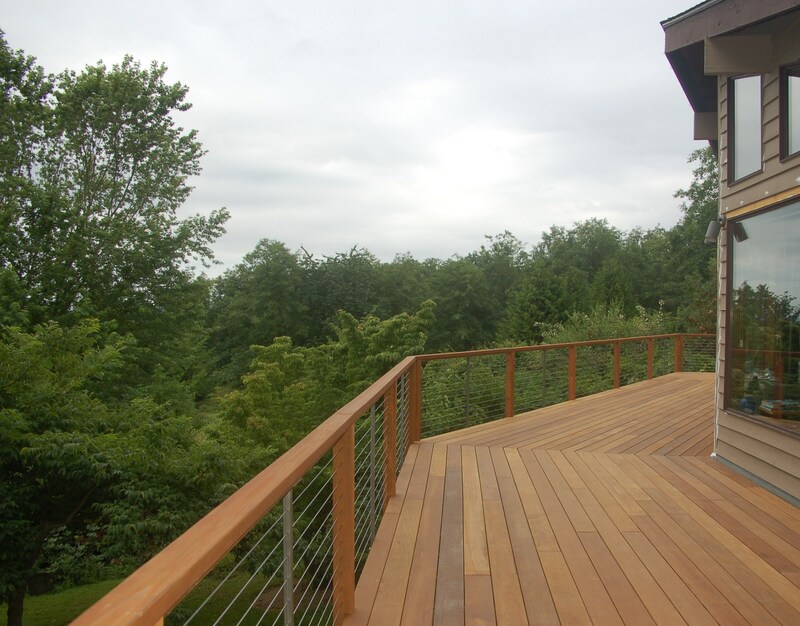 The deck was a collaborative design between the clients and Rose Construction. 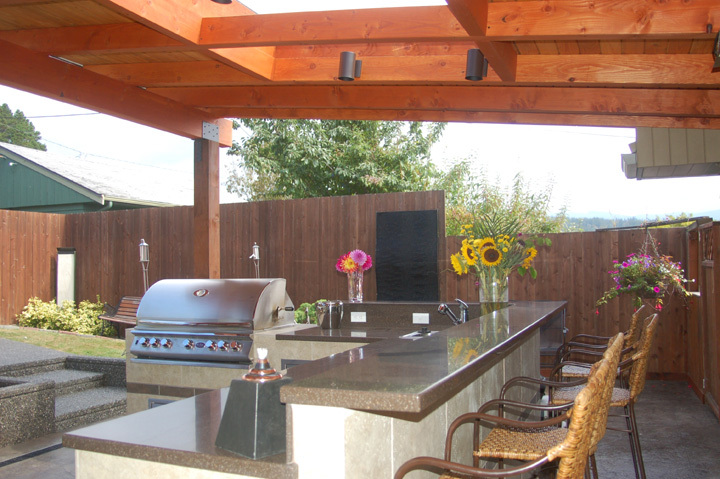 This design is larger than their old deck and features an octagonal raised level with custom-made cedar benches. 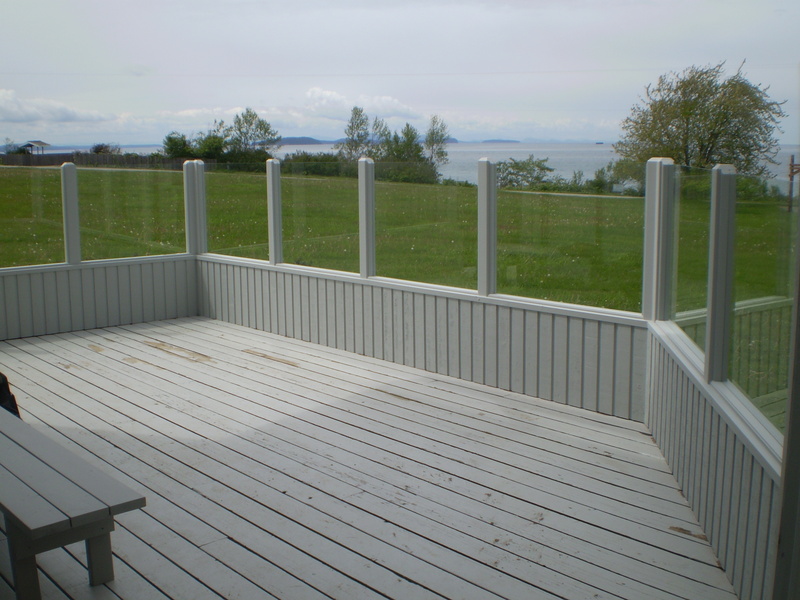 The edgeboard gives the deck a polished and finished look.